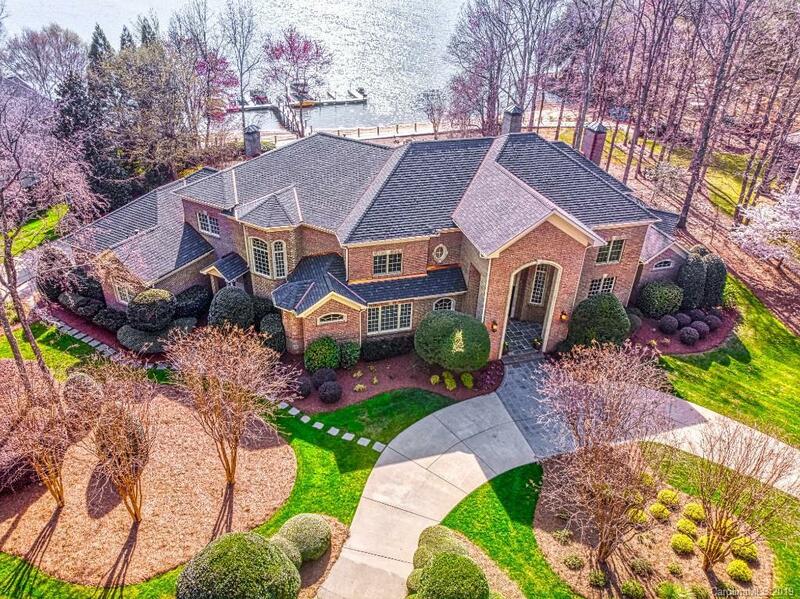 RENOVATED TO PERFECTION and flawlessly designed, this sophisticated home in The Peninsula on Lake Norman is sited on an acre-plus of prime waterfront property and radiates an elevated level of impeccable style. Expert craftsmanship is woven into every detail from designer lighting to extensive mill work. The well-equipped kitchen offers a suite of premium appliances, Carerra marble counters, island prep area and adjacent butler’s pantry. Enviable features include outdoor kitchen, stone and cedar wine cellar, and personal gym. Anchored by a dramatic vaulted great room with Douglas fir beams, French doors open to the infinity edge pool and show-stopping sunsets over glistening water. Designed to indulge, the master suite is complete with morning kitchen and glamorous bath with soaking tub, spacious dual vanities, heated marble floors, TV mirror and shower speakers. Well-equipped billiard, media and entertainment rooms complete this impressive property.